Apple is notorious for not playing nice with other platforms. They have traditionally made access to even the most in-demand services like Google Assistant impossible to iPhone users even though it’s widely accepted that “Hey Google” is superior to Siri. Now, thanks to Apple’s Shortcuts, the frustration of not having voice access to Google on your iPhone is a thing of the past. Shortcuts is an app on iOS that allows users to basically program their own Siri commands. 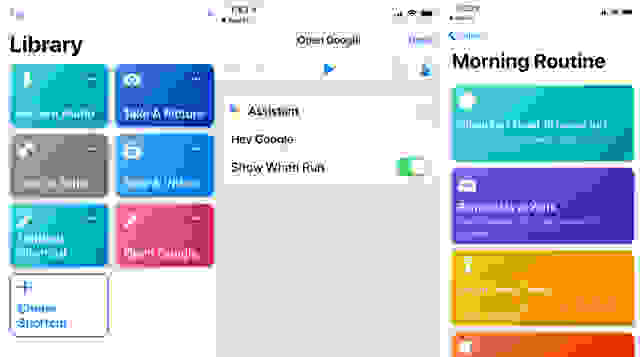 The list of Shortcuts-compatible apps is growing with time, and while the possibilities are endless if you're willing to tinker with the app, there are lots of great shortcuts to choose from in the app's gallery and across the web. We love this list of shortcuts from Macworld. You could, for example, set up a “Go for a Run” shortcut that bundles several actions like telling you the weather, queuing your running playlist, and reminding you of your most recent run times with one simple ask. A shortcut for your morning routine might allow you to hear about traffic on your commute, as well as the day's headlines, or set your smart home devices to their optimal settings so they're on when you return at the end of the day. Plus, Shortcuts now also allows users to operate Google Assistant on their iPhone. Want to get “Hey Google” up and running on your iPhone or iPad? Here’s how. 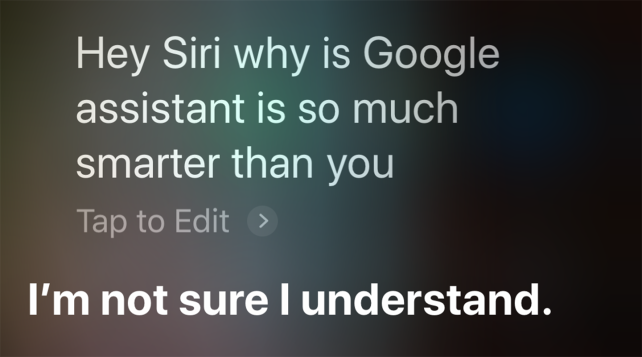 At least Siri has gotten smart enough to let Google answer some questions. The Shortcuts app is new as of this year, which means that the first thing you’ll have to do is download it onto your phone from the App Store if you haven’t already. It’s important to note that this little trick doesn’t appear to work with Mac computers so, for now, this is just an iPhone and iPad tip. Next, you’ll not only need the Google Assistant app on your phone, but you’ll want to make sure it’s the most recent version. Install the app if you haven't already or run any updates if you’re not using the most recent version. At this point, you might see a button at the top of the Google Assistant app's start page that offers to set up the shortcut for you. 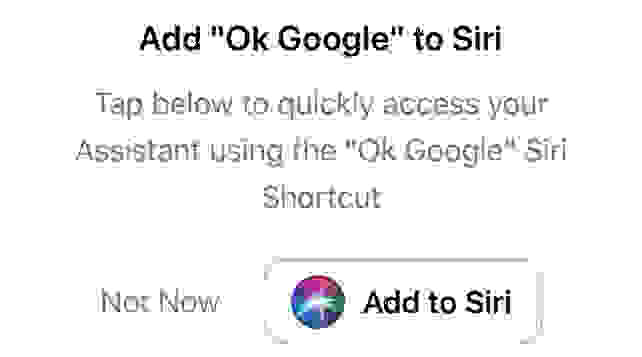 If you see a box that says, "Add 'OK Google' to Siri," just tap the "Add to Siri" button and that's it. If you see this box in your Google Assistant app, tap "Add to Siri," and the shortcut will be created for you. If you do not see the above box in your Google Assistant app, tap on your Shortcuts app and go to the “Create Shortcut” button on the lower left side of the screen. A screen with a search bar at the top will pull up. The next step is to type in “Google Assistant” into the search bar and click on “Hey Google” in the results that populate. The Shortcuts app can do way more than let you access Google Assistant with Siri. After that, you’ll tap the toggle icon that sits just under “Done” in the top right portion of the screen and tap “Add to Siri”. Tap the red button to create your command, click “Done”, and click “Done” again once more. Whether you want to use the classic “Hey Google” or “Ok Google” options or simply “Google” (which we find easiest), you’ll next be prompted to create a trigger command that launches Google Assistant. Once you’ve done that, the installation process is complete. Let’s say you’ve opted for “Google” as your trigger phrase. In order to access Google Assistant through Siri, you’ll first have to issue a command to Siri to open Google Assistant. In this instance it would mean saying, “Hey Siri, Google,” which can sound a bit awkward at first, but it gets the job done. From this point on it’s just one verbal command to put Siri in the backseat while Google Assistant does all the work. Assistant will launch and immediately listen for your next command. That's it! The Shortcuts app is a powerful tool and can do much more than launch apps, but this particular hack is awesome for those who don't want to choose between Siri and Google Assistant.